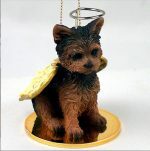 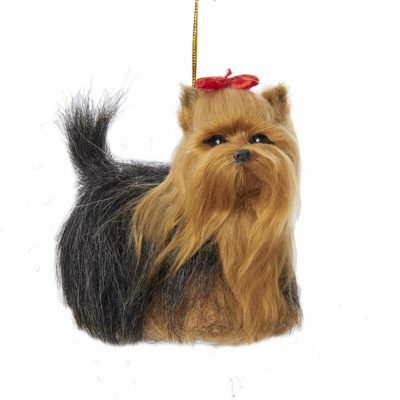 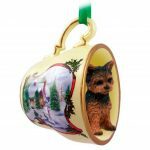 These Yorkie plush ornaments are absolutely adorable! They will bring a smile to any dog lover’s face. 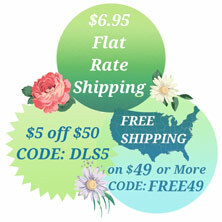 They measure approximately 4 inches in the longest direction. 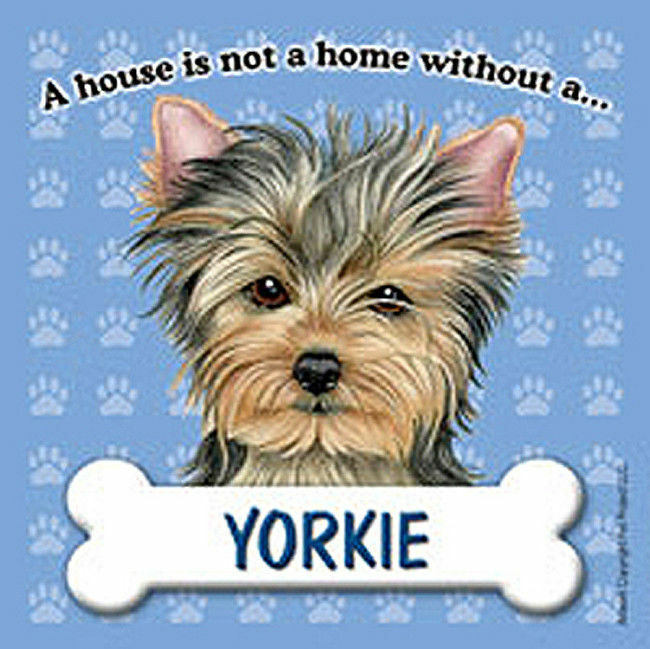 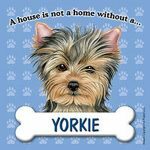 Each Yorkie is covered with faux fur. 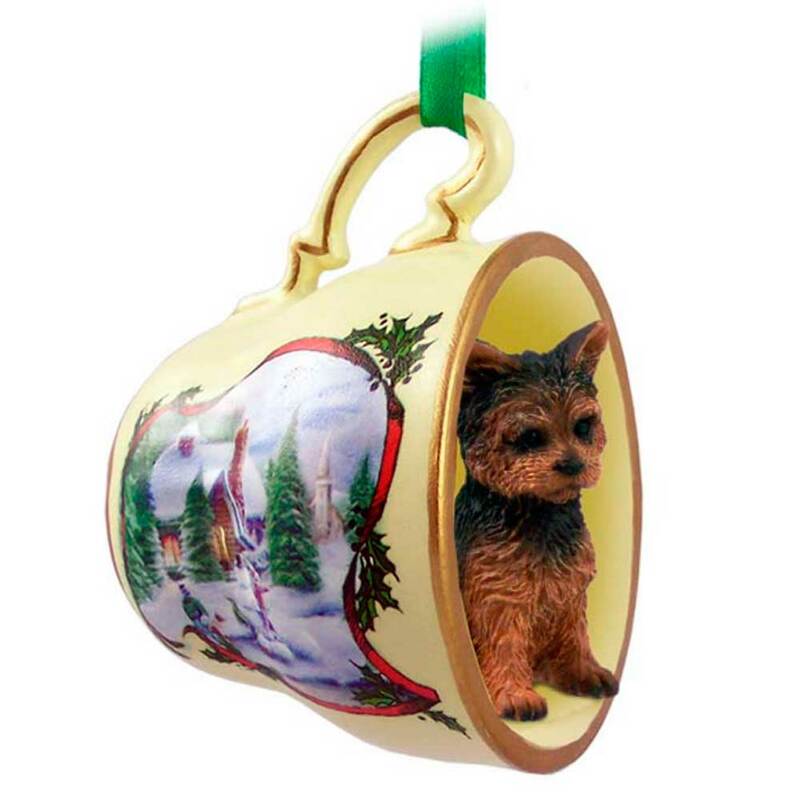 The ornaments, which come with a string for hanging, are super lightweight. 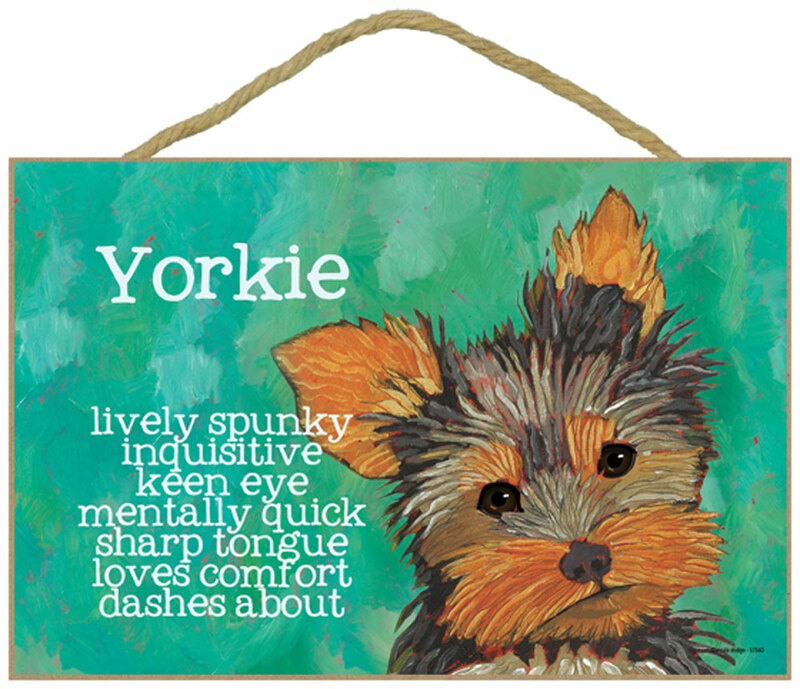 Plus, they have a flat bottom which allows you to sit them on a shelf or mantle.